Here at the Vaughan Relationship Centre, we are no strangers to virtually any kind of problem you might find in a relationship. We see it all – cases of minor intimacy troubles, negative situations involving a controlling spouse, cheating partners, and of course more serious problems involving cases of abuse. Through all of the scenarios we support and counsel people in, there is a common theme we see all the time. That theme is the lacking of constructive communication between the parties involved. Anger is a feeling that we all experience now and then. It is not a bad emotion – it just signals that there’s a roadblock that needs to be dealt with. It makes us aware of a problem – when we share our daily life with a person, our personalities, habits, values, and interests may not always be in perfect sync. Spending so much time closely together makes us not only aware of our partner’s strengths but also their shortcomings. That opens the door to criticism, blame, and getting short-tempered in situations that cause discomfort. Unless partners make a continuous effort to deal with anger and frustration as it occurs, your relationship will ultimately suffer. 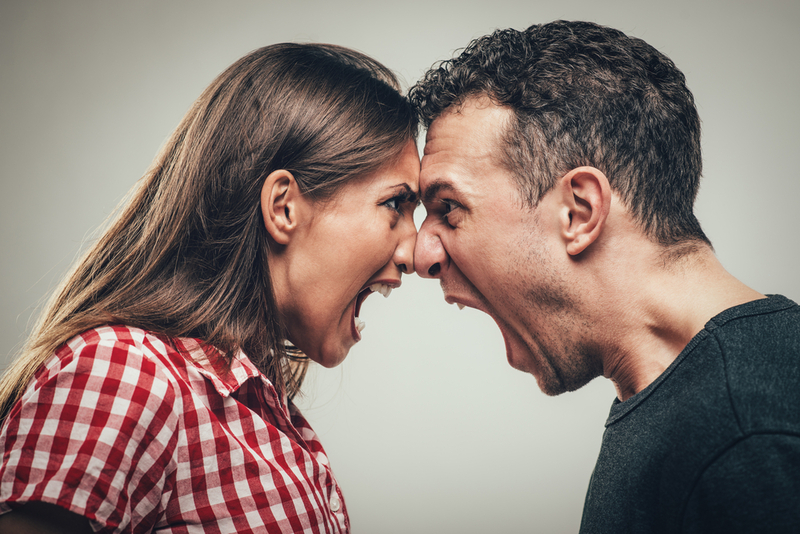 Some couples tend to get very caught up in their anger, making it a challenge to get to the bottom of the issue and find ways to repair communication. In most cases, though, anger itself is not the problem. It is merely the way we deal with the real problem. Keep in mind that every moment we develop anger in a partnership it is also a chance for yourself and your partner to grow together – if done right. Figure out which other feelings may be involved in this situation. Anger often only masks our vulnerability. Many people have grown up being taught that vulnerability is considered a weakness and therefore automatically default to pushing through problems. Based on this we consider anger a feeling which often covers deeper underlying emotions and issues we carry around. Those emotions could be sadness, fear, or happiness. That means, for instance, your combative reactions are actually rooted in sadness because of the hurt or rejection you’re experiencing. As a partner in this situation, your role is to be supportive. Listen actively, ask clarifying questions in a non-judgmental manner and respect if your significant other asks for a break or some space to gather their emotions and thoughts. This, of course, does not include situations that escalate to violence or abuse. Keep in mind that your spouse’s feelings are based on his or her life, childhood, family history, and the personal experiences they’ve had. Not all of these might make sense to you because you’ve built your set of reactions and emotions around different life experiences. That’s okay. It still allows you to be empathetic and embrace the things you learn about your partner through this process. Making “stepping into your partner’s shoes” a regular part of your relationship will help both of you to not only on solve arguments more smoothly, but ultimately to feel more connected. Many couples build stronger connections with the help of couples therapy. You will become aware of your own emotional responses and better learn why your partner responds the way they do. The goal is to improve communication, create secure bonds, and reinforce the best parts of your partnership. We all feel anger, and that’s okay. As one of the most common human emotions, anger is something you must learn how to accept and control rather than stifle and stigmatize. This is often easier said than done, so we find ourselves in situations where we must try to make up for angry outbursts we couldn’t control. One of the scenarios we see a lot is where one partner is holding everything inside. In a situation where someone is dealing with an angry partner, a natural defence mechanism is to begin to safeguard yourself. This usually manifests in the form of closing off your “emotional doors” so to speak, or not letting your partner into your thoughts and feelings. This can be deeply troubling to a relationship, as it effectively cuts off the channels of honest communication. So, if you suspect your partner isn’t opening up like they used to, it’s important to act. At times, you may have so felt upset with your partner not opening up that you expressed your frustration by telling them they are a bad communicator or demanding they talk to you. Or, maybe you felt that things would not change, so you kept your feelings to yourself and did not discuss the issue with your partner. Don’t do that! In order for things to improve, it is important that you discuss how their reserved behaviour impacts you, and your relationship. Maybe your partner is not aware of how they are coming across. When engaging in this sort of dialogue, it’s important always to remain respectful towards each other. 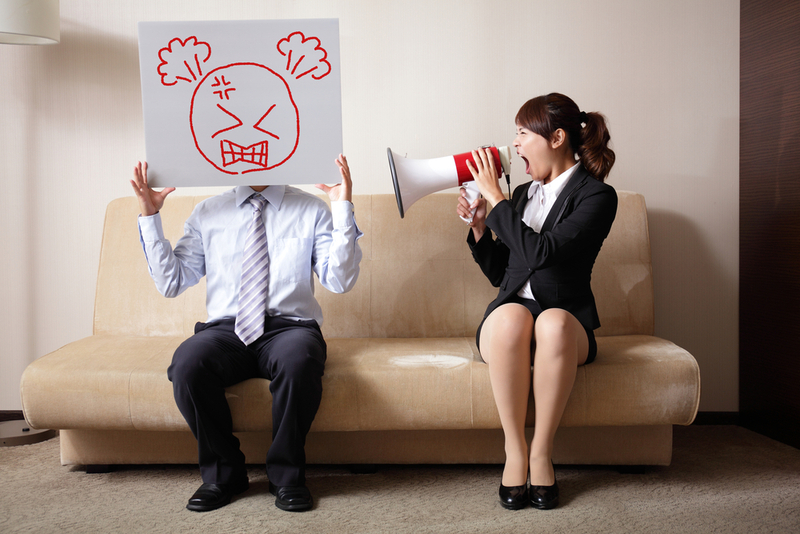 As frustrations mount, it can be difficult to express your point, your issues, and your intentions clearly. So, remain calm and focus on obtaining a resolution by being clear about your intentions and your desire to feel closer. In most instances, partners want to actively share and communicate with their partner, but hold back out of fear of being judged, criticized, constantly being talked over, or just not listened to. This could leave your partner feeling pushed to retreat and avoid discussing what they are feeling or thinking. So be mindful about hearing your partner and try to show your willingness to really listen to them. Even though it may appear that you are doing everything right and it is your partner who lacks some type of characteristic needed to open up effectively, it’s often both parties that contribute to the problem, even if it’s not obvious. Whether it’s a lack of listening or a tendency to talk over your partner abruptly, just keep in mind that there could be a reason that you’re not aware of, so be prepared to take some responsibility as well. Dealing with individual differences within a relationship (especially in regards to communication) is so important to address. Addressing issues in the right manner can make all the difference between removing that burden to allow your relationship to grow as opposed to crushing it under the weight of more ineffective communication. So if you’ve wished that your partner would open up more to you, reach out to us today. We can help you and your partner hear each other out and break that silence to help your relationship grow. Dealing with a partner who has built up their walls is no easy task. But, with some patience, openness, and effective communication, it’s likely that you can power through the problem. With any luck, your partner will begin to open up more and more to the point where they don’t seem to be holding anything back like they were before. Sometimes, a partner holding back their emotions and feelings is a sign of more serious problems within the relationship. Unfortunately, it’s often a result of feeling unsafe to speak up in your relationship. In most situations, a partner will not speak up because they worry it will upset their partner and create another argument. However, sometimes partners do not speak up because they are experiencing emotional abuse from their partner. Think back to an argument with your partner where they purposefully said something hurtful to you – did you unconsciously avoid contact with them for a short period of time after? It’s likely that you did, as this is a normal reaction that we see all too often. You’re hurt – so you avoid the thing that hurt you. Wondering if you’ve dealt with emotional abuse, or are currently pushing through it? Read on for some tips on identifying as it occurs. Emotional (or mental) abuse is a topic which may not be talked about often, yet is very common and an issue that could touch anyone at any point in their lives. There is no age limit for typical emotional abuse victims. We have worked with child, teen, and adult victims in this field and seen the destructive consequences this kind of abuse can have on relationships as well as self-esteem and emotional strength. The fact that victims of mental abuse don’t carry physical marks doesn’t make the abuse any less severe or real to the victim. While it happens quite often that outsiders have no doubt of the abusive dynamic in a relationship, the victims tend to be aware that something is amiss, yet they’re usually not quite able to determine what it is themselves. No matter in what relationship the abuse takes place, the dynamic is usually the same. It occurs in cycles. 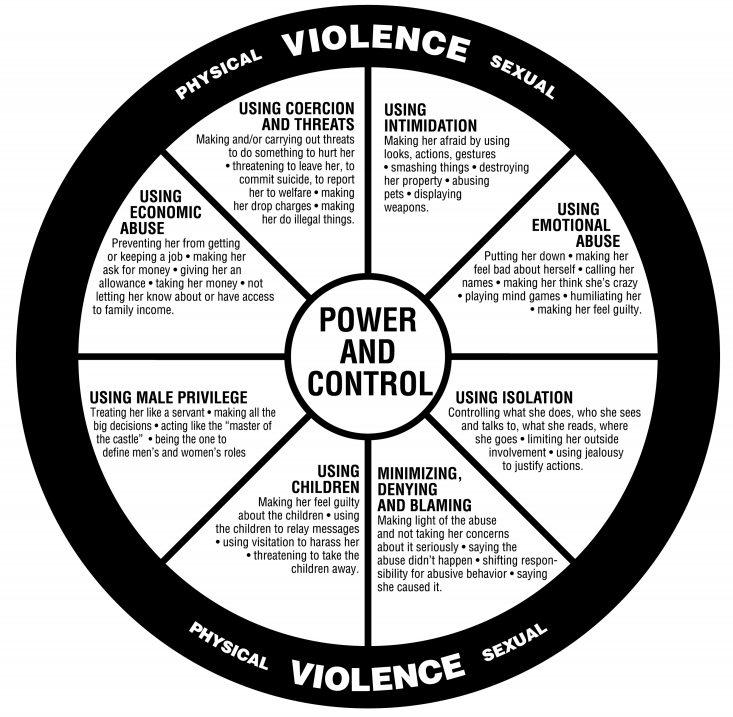 Typically, the abuser will feel the urge to demonstrate dominance, gain power, and feel in control over their other. They will create a situation in which they verbally threaten, manipulate, publicly embarrass, or criticize the victim commonly followed by a phase of “normal” – or even extra caring – behaviour as if the abuse had never taken place. However, the wrongdoing and hurt don’t get acknowledged, and the abuser ultimately returns to the place of feeling the need to dominate again. In many situations, the victim is a very intelligent, strong individual, but over time they are told that they are the cause of their partner’s upset. The victim will stay longer in a relationship, thinking if they just do as their partner asks, they can return to the happiness they had at the beginning of their relationship, when things were perfect. This cycle is very powerful and sometimes it hard to see that you are in it until things get very problematic. Depending on the extent of the abuse and considering the victim’s symptoms, leaving the destructive environment may be the only option to avoid further psychological harm. At an early stage of emotional abuse, other options may be available to break the harming cycle. Couples counselling, as well as individual counselling, can offer significant support on a path to either changing the dynamic of an unhealthy relationship or gaining strength to stand up against the abuse. Emotional abuse is (unfortunately) a common occurrence. Our hope is that every couple has the tools and knowledge necessary to be able to spot it in the early stages. Once you get into a cycle of abuse, it can be extremely hard to deal with on your own – so make sure to contact us if you ever encounter it in your relationship. With some hard work and commitment, it is possible to get to the bottom of the abuse and effectively eliminate it from the relationship. Even when you get past it, it can still be challenging to move forward – but it is important that you keep pushing onwards. A good way to keep things rolling is to ensure you are being heard when you speak and that you feel safe in your relationship. Feeling like you are being heard and understood is fundamental to a healthy relationship. Read through the next article to find out more about the importance of making yourself heard. We all know what it’s like: you are in the middle of trying to resolve a conflict with your partner, but you just feel like you’re running in circles. Nothing seems to have any constructive effect or move your conversation to some sort of mutual understanding. You seem to talk and talk and talk, trying to get the same message across over and over again. You ask yourself “Why don’t they listen?” as you try and try to be heard. The sender and the receiver might understand a message very differently. We all bring in our own lenses and have our own triggers and sore spots that sometimes blur our views. To ensure that you are both on the same page and your message was heard the way you intended, check in with your partner after you’ve paused and kindly ask them what they’ve heard. Be patient if your partner does not hear everything you say. Sometimes a lot is said with a lot of emotion, and it can be difficult for them to catch everything you say. To be clear that this is not an attack, use a little more affectionate language here. This may come unnaturally to both of you in the beginning, but it will improve the effectiveness of your conversations in the long run. Many people, driven by their temper in an argument, don’t realize that they are not really listening but instead anticipating making their counter-point as soon as the other person has finished. Become aware of those habits and make an effort to really tune in. Make eye-contact and genuinely listen. Try to understand his/her point before jumping to a response. Do this by reflecting back what you heard and for “bonus points,” reflect what you think they feel before you respond. You most likely have had disagreements in the past, but those have been already (or may still have to be) resolved. It is important that you stay with the issue at hand and don’t drift off into the past. Being clear about the core message will improve your chance to communicate what you mean to say. Couples counselling can equip you with the communication tools you need to better resolve conflicts with your partner. Book an appointment to discover how relationship counselling can help you and your partner better connect and communicate. It’s so important to us to enforce the importance of making yourself heard in relationships. Without a feeling of being understood, it’s hard to even feel happy or good about yourself, nonetheless happy and secure in your relationship. Still with us? Good. So far we’ve covered many different issues and common occurrences in relationships and how you could deal with them. While we definitely encourage everyone to try and deal with things on their own, it’s not always possible to solve the problem without professional help. Relationship counsellors like ourselves make it our passion to help you through your differences. Although therapy has an unneeded stigma surrounding it, it is completely common, absolutely normal, and extremely beneficial. Let’s look into this topic a bit more below. Relationship counselling may not be for everyone, but far too often it can be disregarded as an option when a relationship could really need it. The idea of going to counselling may seem like your relationship has hit rock bottom or that you have somehow failed your spouse. These feelings, however, are often proven to be incorrect once a couple has actually gone through the relationship therapy process. Relationship counselling has been the saving grace for many relationships – often providing solutions that the couples could not come to on their own. Sometimes it takes the assistance of a neutral third party who is trained to help couples not only identify their issues but embrace the change that is necessary to go along with resolving the issues. So why all the negative stigma around relationship counselling? When it comes to opening up about problems in a relationship, people can easily tense up and shut down. It’s not easy to first off admit that you need help, and secondly to divulge your deepest feelings in front of a complete stranger. It takes a certain amount of strength and dedication to your partner to attend relationship counselling, but once you do it will be easier to tackle the problems that have held you back in the past. A counsellor can provide you with the tools necessary to really listen to your partner and to feel what they are feeling which in turn can help mend bridges that may have been crumbling within the relationship. A relationship counsellor can also equip you to express your own feelings and communicate your needs and desires in a healthy, constructive way. When our vehicle breaks down, most of us take our car to a mechanic. When we are not well physically, we see a doctor. When our computer is not working, we may seek out IT support. It is challenging to work with our emotions when they are literally a part of us, and when you are in the midst of relationship struggles, it is difficult to see the perspective of the other. So a therapist can be helpful in working through important issues. A counsellor can also provide you with a safe space in which to be heard. Sometimes the hectic lifestyle people lead does not easily allow for time to sit and really discuss the root of your problems. With distractions being around every corner in a house it’s very easy to let your issues as a couple go undiscussed and in turn cause the problems in your relationship that brought you to counselling in the first place. Perhaps there are children in the relationship and their presence in the house makes it difficult to have a serious discussion. And perhaps when you do have serious conversations, they easily escalate to the point of yelling and hostility, which can be damaging to a young child’s development. Or you try to get your partner to hear you and find yourself stuck because they either speak over your or shut down and things do not get resolved. Removing yourself from your home and willingly placing yourselves in the inviting office of a relationship counsellor is a step towards the direction all relationships truly seek to be in. Relationship counselling is a healthy way to revitalize your partnership. Discuss and deal with your problems so you can remember what brought you two together in the first place. Every relationship deserves a chance to survive. Here we are – you’ve made it through our first official mega-blog! We hope it’s been helpful for you to see how these topics all relate and coincide with one another. Our goal in creating this article was to highlight the importance of quality, honest communication. If you took anything away from this post, we hope it’s that you know to always keep striving to move forward, because you’re never alone! Whether it’s from your family, your friends, relationship counsellors, or an online resource like this one, there is plenty of help and advice available for you. So never suffer through tough times in silence! If you need to talk to someone about a problem in your relationship, please reach out to us whenever you can. 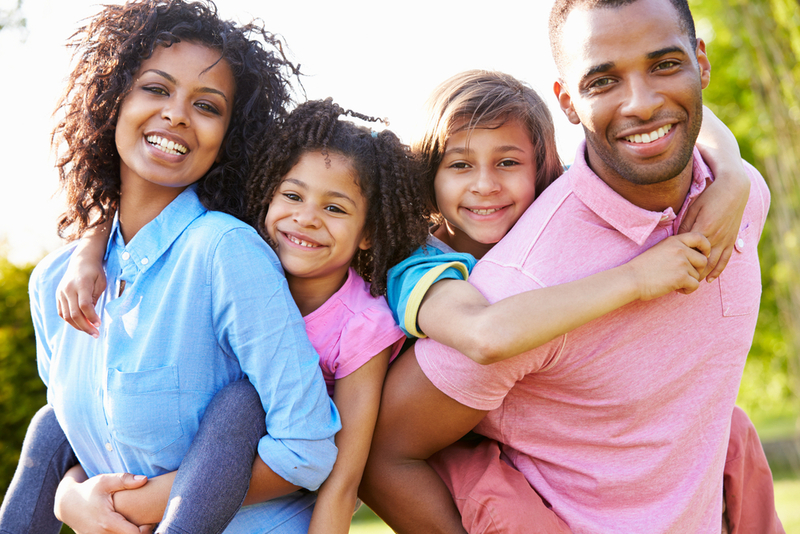 We at the Vaughan Relationship Centre are passionate about fostering healthy relationships – and that includes you, too! We’ll help you better understand the troubles you are experiencing, and be as hands-on as you want in helping you through them. Contact us today to start the conversation!